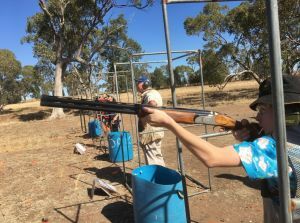 Dubbo Field & Game hosted the "Kennards Cash Divide" shoot on Sunday 29th April, following on from the Rob Murray Night Shoot. Those shooters who camped over were springing to life early (well some of them did) to jump in and start shooting for chances in the cash pool! With a slight tweak of the targets, we were ready to go again. All those involved had a great morning with lots of fun and laughter involved.